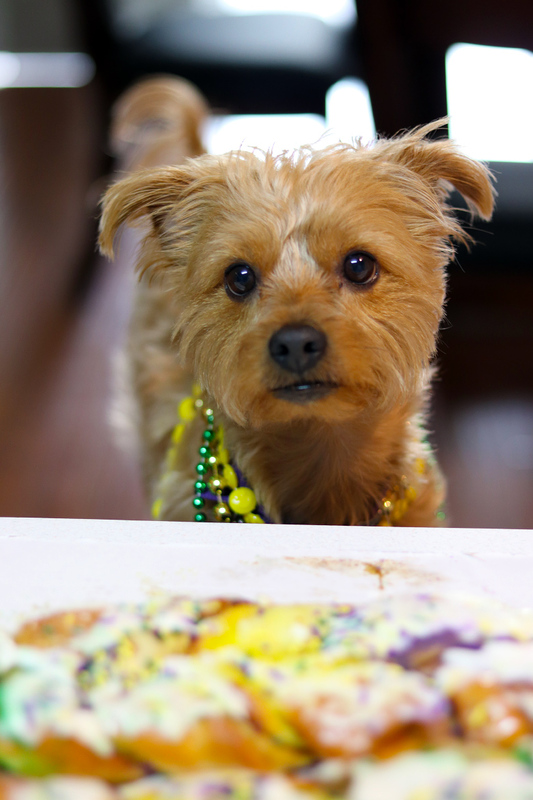 #DirectNic's "King Cake" for Mardi Gras was eaten by my dog! 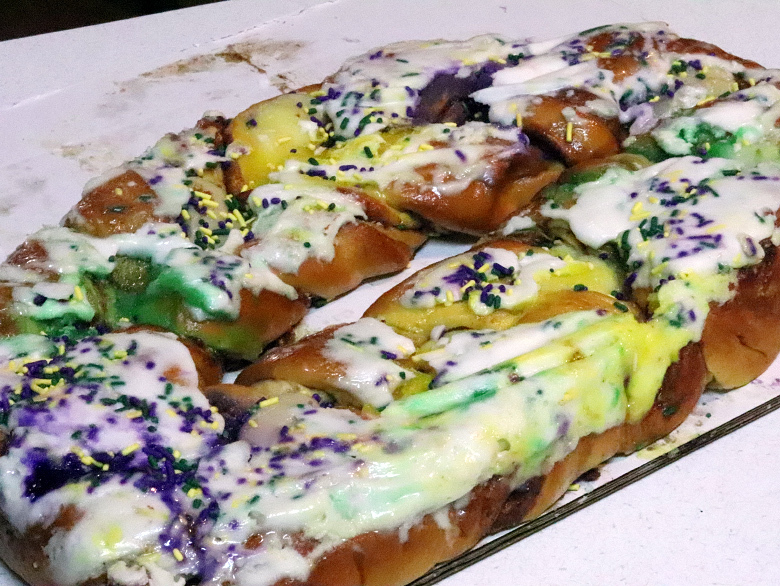 :DomainGang #DirectNic's "King Cake" for Mardi Gras was eaten by my dog! DirectNic sent us via FedEx this humongous cake, as they’ve done for several years now. As I was arranging for the photography, my dog went crazy and started eating it. Do not be fooled by the cute face, he is vicious. All that was left after 30 seconds was a few sugar crumbs. 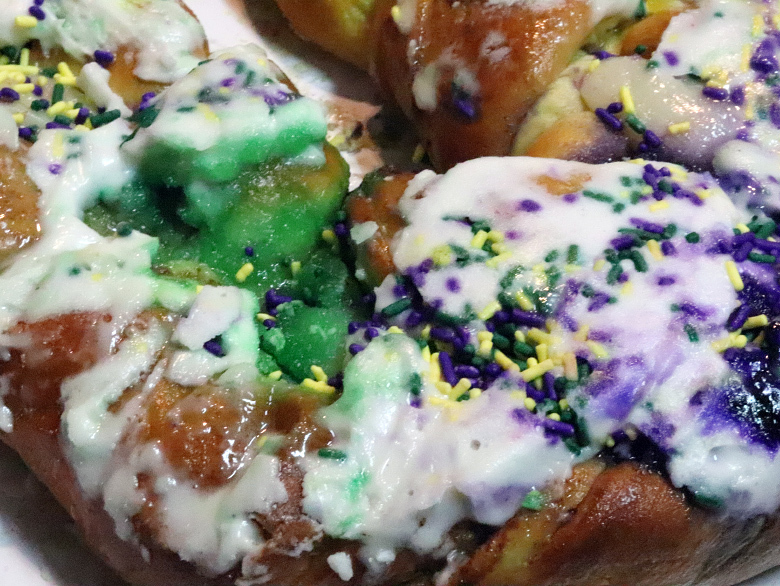 I wasn’t able to eat any of it. 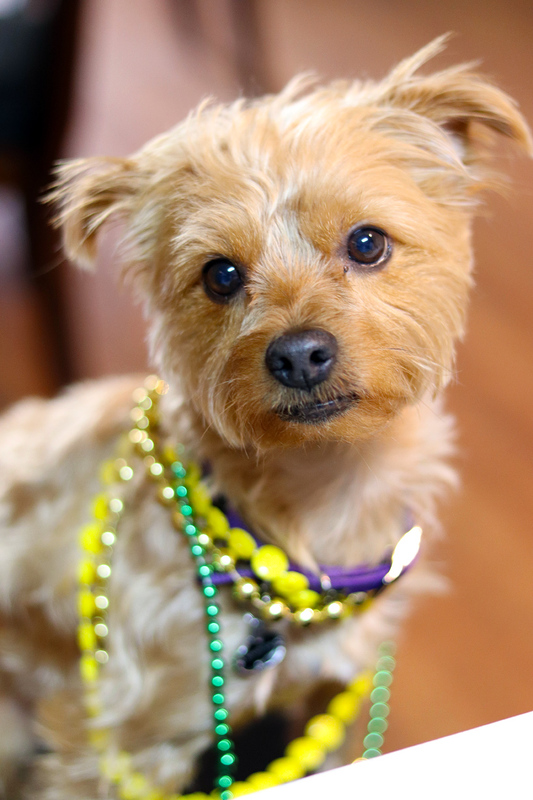 My dog is well-behaved, and he even sat still for me to take his photo, wearing the Mardi Gras beads that DirectNic sent us!